You can apply to register a funeral trust to the Director of Consumer Affairs and Fair Trading who must approve a funeral trust. The Director keeps a Register of approved funeral trusts. As a funeral business you must supply certain documents each year. Consumer, Building and Occupational Services mails an Annual Return to each registered funeral business to be completed and returned before 31 December each year. the date when the agreement is cancelled, transferred or the funeral services are supplied. any other accounting records normally required to be kept by a trustee. NOTE: There are penalties for failing to meet these requirements. a suitable person approved by the Director. provide a report to the custodian and the Director. As a custodian you must invest all money given to you, this is outlined in the Trustee Act 1898. The value of any investment made by the funeral trust is owned by that funeral trust. The value includes the amount invested as well as any increase because of earnings, dividends or interest on that investment. Only the custodian, or an authorised person acting on their behalf, can authorise investments, payments, withdrawals or the transfer of any assets or investments of the funeral trust. pay all money and transfer all investments held to the custodian of another nominated funeral trust. As a custodian you must only withdraw from a funeral trust fund in accordance with the Prepaid Funerals Act 2004. Where an offence has been committed, a contributor, custodian or other interested person can apply to a magistrate. any extra amount of GST that needs to be paid under the agreement. If a payment is required following cancellation of a prepaid funeral agreement, the payment is to be made to the contributor. It is to include an amount representing a fair proportion of the value of the funeral trust, taking into account the time that the funds have been in the funeral trust. A payment to a person taking over the funeral from the previous funeral business must be the same amount that was agreed to in the first agreement. a funeral trust is under investigation. A funeral business may go out of business or stop trading and not transfer prepaid funeral agreements. The custodian must transfer to the contributors of the agreement all the funeral trust property and investments that relate to the insolvent funeral business. Any money paid under a prepaid funeral agreement must be put into an approved funeral trust within 14 days of receiving the money. A prepaid funeral trust is created using section 10 of the Prepaid Funerals Act 2004 (the Act). It can be for the purposes of two or more financial businesses. The Director of Consumer Affairs and Fair Trading can approve, put conditions on, or end funeral trusts. The Director must keep a register of all approved funeral trusts. You can register a funeral trust by completing an Application for Approval of a Funeral Trust. Currently there are no funeral trusts registered with the Director of Consumer Affairs and Fair Trading. Note: Most prepaid funds are paid into exempt schemes.  Exempt schemes include companies registered under the Life Insurance Act 1995, Insurance Companies, Friendly Societies, and the 'Catholic Development Fund' which is administered by the Archbishop of the Roman Catholic Church in Tasmania.